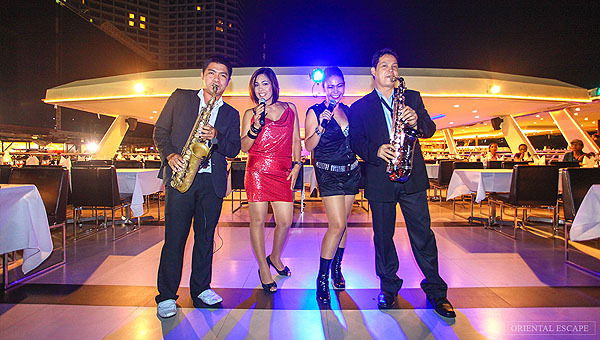 Time for your dinner under the candle light with Live Music in a romantic atmosphere. 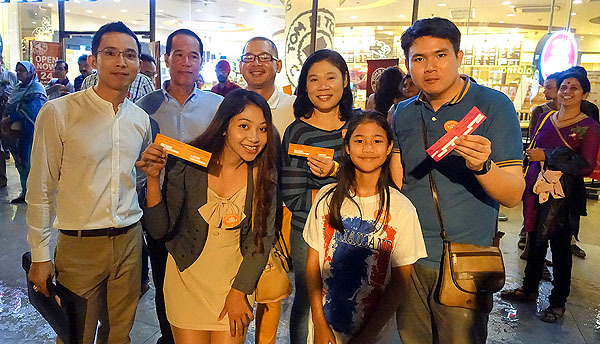 Serving a delicious Thai & International cuisine with a modern style. 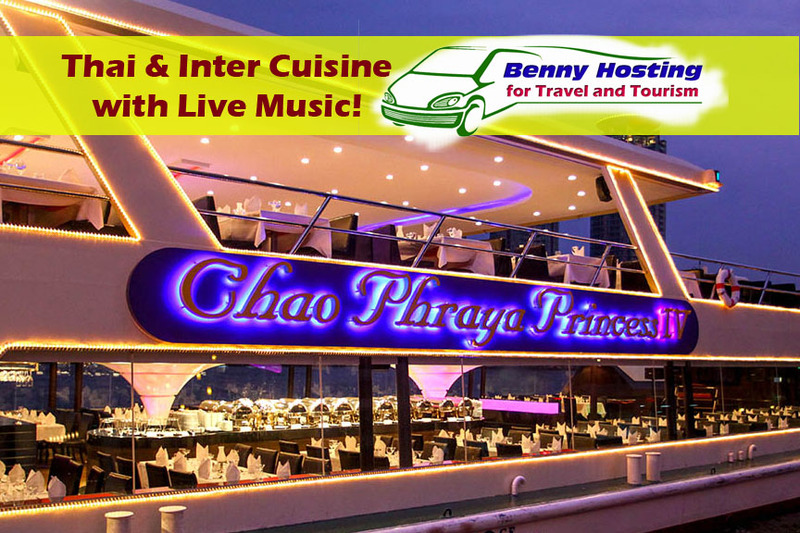 Spend an exciting and memorable evening cruising and dining along the Chao Phraya River amidst the enchanting atmosphere of the East. It will be a moment of lasting memory for your life-time. 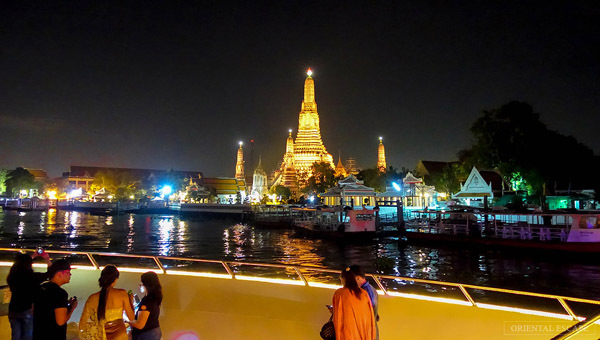 Discover Bangkok by night enjoying the beautiful scenery on both sides of the Chao Phraya river cruising on a luxurious dinner boat. 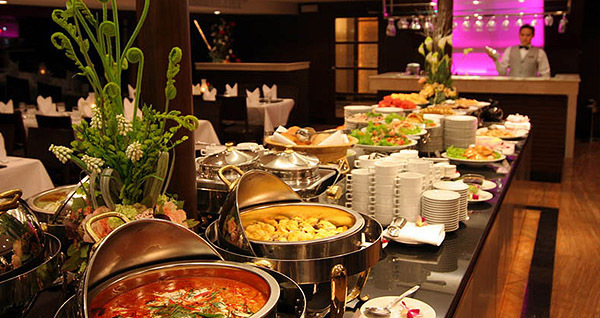 Taste a number of dishes from the famous Thai cuisine on this romantic trip. 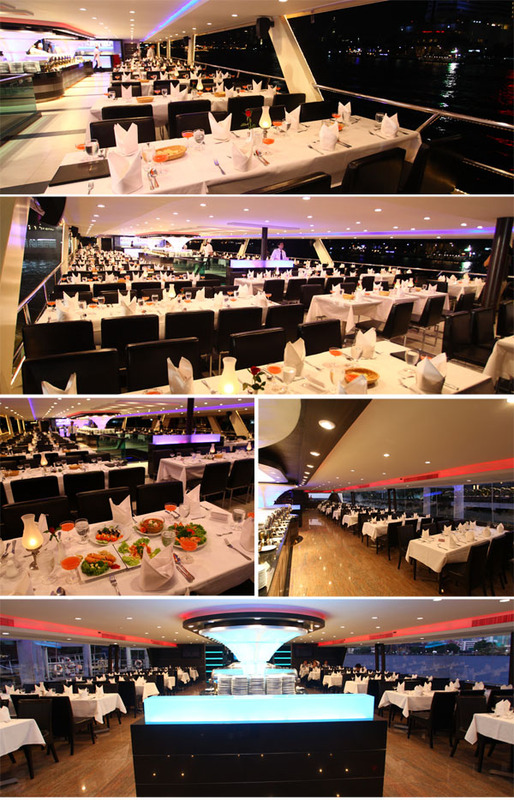 A dinner cruise on the Chao Phraya restaurant boat is an unforgettable, both romantic and cultural experience. Cruise slowly down the river enjoying authentic Thai cuisine while some of Bangkok’s most famous landmarks like the Wat Arun (the Temple of Dawn) and the Royal Palace pass by, giving you wonderful twilight photo opportunities. 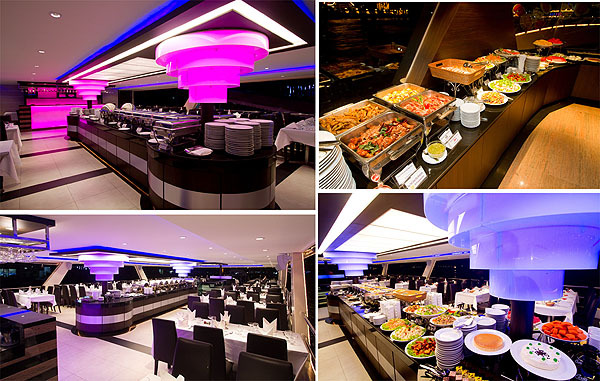 A dinner cruise is the ideal way to enjoy the City of Angels by night. Relaxing in modern comfort and enjoying famous Thai hospitality you will view the majestic river and the many canals of the city once known as the “Venice of the East”. Along the waterways traces of early Bangkok history and more traditional life can still be seen. The Chao Phraya river by night is a charming place not easily forgotten. The Chao Phraya river, also known as the River of Kings, is one of Thailand’s major rivers. It originates in North Western Thailand and is almost 400 kilometers long. If flows through Bangkok and ends into the Gulf of Thailand. Along the way many interesting sites can be seen, such as the ancient city and old capital of Ayutthaya. View Bangkok’s history from the Chao Phraya river During this dinner cruise you will view traces of Thai history dating back to the time of the Rattanakosin era, when the capital of Bangkok was established in 1782. In those days people used to settle by the Chao Phraya river and the many canals, later spreading out further away from the river. 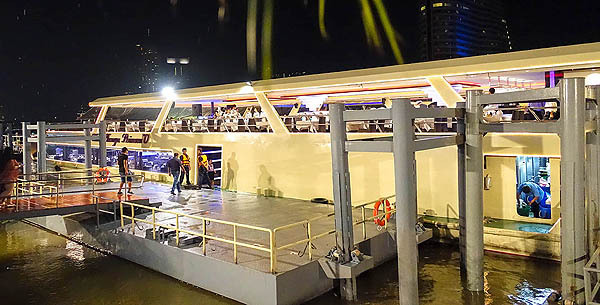 During this dinner cruise you will see magnificent examples of both old architecture like the Santa Cruz Church, Kalayanamit Temple and Bang Khun Phrom Palace and modern architecture like Rama VIII bridge, the Oriental hotel and the Shangri-La hotel. You will get to see some of the oldest buildings in Bangkok, some dating back to the earliest Portuguese settlements in the city. 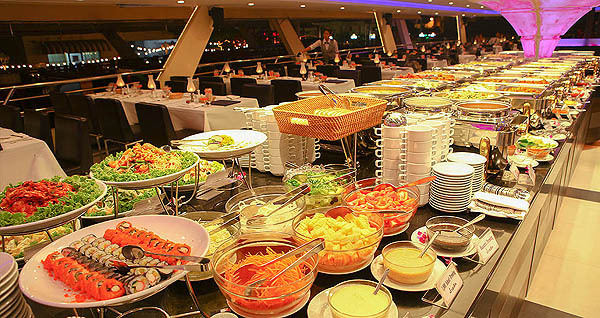 This cruise offers the perfect opportunity to enjoy Bangkok by night in a romantic setting without any effort, while enjoying some of Thailand’s famous foods. For children 4-12 years old we charge 70% of the price that calculate from a total number of adult pax. For children over 13 years old we charge normal price. 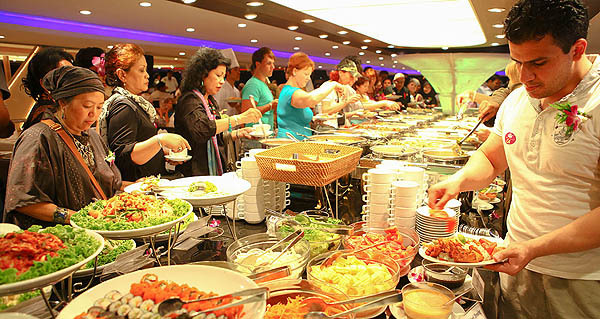 Tip: Above rates not applicable for festive days; Loy Kratong, Christmas Eve, Christmas Day, New Year Eve and Valentine Day.